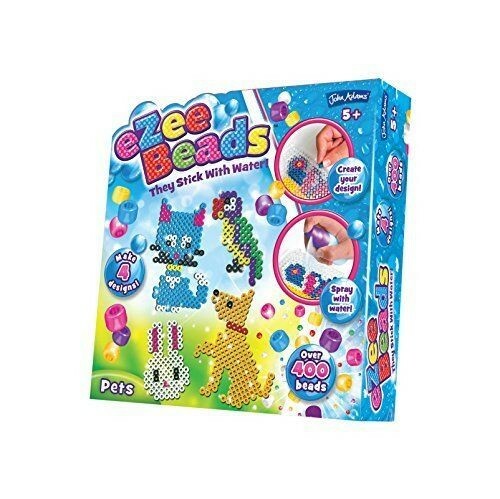 Ezee Beads Pets by John Adams Create colourful Ezee bead shapes which magically stick together with water. Select a design push the beads onto pegs of the tray then spray with water. Leave to dry. Includes 4 design cards with over 400 beads.